This list is about the best mobiles under 15000 Rupees? In this range, many smartphones available in the mobile market. And in this price segment’s smartphones are very demanding, because phone makers give all the desired specifications on the best android mobile under Rs.15000. These best mobiles under 15000 Rupees perform very well like a flagship phone in all aspects, and in these days the camera is the highest priority for everyone and now smartphone comes with excellent camera quality with the dual camera lens and high megapixels too. so I am providing a list of best camera phones under 15000 Rupees as well. Let’s check out the best mobiles under 15000 Rs. in India 2018. Redmi note 5 Pro is the first phone with SD 636 chipset in the world, let’s talk about specifications, The smartphone comes with a 5.99 inches edge-to-edge display and supports 1080 X 2160 FHD+ resolution. The Redmi note 5 Pro is powered by 2 GHz Qualcomm Snapdragon 636 octa-core processor along with 4/6 GB ram, and 64 GB of internal memory that will expandable via micro SD card. This full-screen mobile has a unibody design and the dual 12 + 5 MP back camera with flash and 20 MP selfie camera with LED flash for extra clear selfies. The Full HD+ display phone Inbuilt with 4000 mAH battery that lasts long for a day with heavy uses. Smartphone has a connectivity option like Bluetooth, WiFi, fingerprint, IR Blaster, USB OTG, 4G LTE, Dual SIM, FM Radio etc. The Redmi note 5 Pro is a great smartphone in this best mobiles under 15000 INR list. 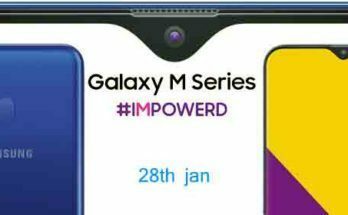 This smartphone comes with a 6 inches 18:9 full-screen 2160 x 1080 display and it has 2GHz Helio P60 AI Octa-Core processor with 3/4/6 GB RAM, 32/64/128 GB storage. Phone inbuilt with 13 MP AI Back Camera with LED flash with a Fingerprint scanner on the back and 8 MP AI on the front let’s come to software mobile comes with Android 8.0 Oreo-based on 5.0 ColorOS. The Best mobile under 15000 ₹ in India comes with SD 636 chipset and a huge 6 inches edge-to-edge display and supports 1080 X 2160 FHD+ resolution. The Asus Zenfone max pro M1 is powered by 1.8 GHz 14nm Qualcomm Snapdragon 636 octa-core processor along with 3/4/6 GB of ram, and 32/64 GB and you can expand it via SD card. This full-screen smartphone comes in a uni-body design that looks cool and you will get dual 16 + 5 MP back camera with flash and 16 MP selfie camera with LED flash for a detailed selfie. The 6-inch display phone Inbuilt with a huge 5000 mAH battery that is great in this price segment and the battery can run about 1 and a half day for heavy users. As usual like other Smartphones, comes with the connectivity option like Bluetooth, WiFi, fingerprint, IR Blaster, USB OTG, 4G LTE, Dual SIM, FM Radio etc. The Zenfone max pro M1 is the best battery backup and also a great performer phone in best mobiles under 15000 ₹ list. This is the first phone from Xiaomi with android one software instead of miui, support 5.5 inches 1080p FHD resolutions screen and 2GHz octa-core Snapdragon 625 chipset coupled with 4GB ram and 64 GB internal storage. Best mobiles under 15000 Rs. has 12MP + 12MP dual back camera with dual tone LED flash which is good enough to compete for another flagship phone in terms of photography. The front camera is 5 MP for selfie lovers that clicks decent pics. Smartphone has all the possible connectivity options like dual sim, WiFi, Bluetooth, IR blaster, FM Radio and more, smartphone inbuilt with 3080 mAH non-removable battery that lasts long for a day. 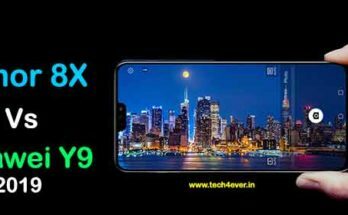 This is great looking phone in Best mobiles under 15000 rupees, which is a successor of Honor 6x, Smartphone support 5.93 inches and 1080 X 2160 FHD+ resolution. The best camera phone powered by 2.3 GHz Kirin 659 octa-core processor along with 4 GB ram, and 32/64 GB of internal memory that will expandable via micro SD card. This best dual camera smartphone has a unibody design and 16 + 2 MP back camera with flash and 8 MP selfie camera for clear amazing selfies. The Honor 7x is the best budget camera phone that produces very clear images in both outdoor and indoor location, and Honor 7x definitely the best choice in the best budget smartphone list. The phone Inbuilt with 3340 mAH battery that lasts long for a day. Smartphone has a connectivity option like Bluetooth, WiFi, fingerprint, USB OTG, 4G LTE, Dual SIM, FM Radio etc. Moto G5s plus best budget camera phone support 5.5 inches 1080p FHD resolutions screen and 2GHz octa-core Snapdragon 625 chipset coupled with 4GB ram and 64 GB internal storage. The Best Mobiles under 15000 Rupees has 12MP + 13MP dual back camera with dual tone LED flash with some good effects option which produces decent and detailed pictures. The front camera is 8 MP and Front Flash for decent selfies. Smartphone has all the possible connectivity options like dual sim, WiFi, Bluetooth, FM Radio and more, It runs on Nought 7.0 with pure Android UI, smartphone inbuilt with 3000 mAH non-removable battery that lasts long for a day. This smartphone is 5.5 inches Full HD display with 2.5 D glass protection and it has 2.1 GHz HI Silicon Kirin 655 Octa Core processor, 3/4 GB RAM, 32/64 GB storage combined with an additional 128 GB SD card space. Phone inbuilt with 12 MP and 2 MP Dual Back Camera with LED flash with a Fingerprint scanner on the back and 8 MP on the front let’s come to software mobile comes with Android 6.0 Marshmallow planned upgrade to v7.0 (Nougat) in future with Emotion UI 4.1. Here is connectivity information it is Dual SIM, 4G VoLTE and comes with Li-Poly 3340mAh battery with Quick Charge feature. this smartphone comes with a great dual camera and nice screen quilty so I mentioned it in Best mobiles under 15000 India 2018 list. This new budget camera smartphone has 2.5D curved 5.5 inches 1080p FHD resolutions display and 2.2GHz octa-core Snapdragon 626 chipset coupled with 3/4GB ram and 32/64 GB internal storage. This Best mobiles under 15000 rupees support 13MP + 13MP dual rare camera with dual tone LED flash which gives decent pictures. The front camera is 16 MP and Front Flash for bright selfies. Smartphone has connectivity options like dual sim, WiFi, Bluetooth and more, It runs on Nought 7.0 and upgradable in Android 8.0 Oreo, smartphone inbuilt with 4000 mAH non-removable battery that lasts long for one and a half day. The dual camera smartphone from Lenovo has a 5.5 inches screen with 1080p FHD resolutions, And 2.3GHz Helio X23 10-core processor chipset coupled with 3/4GB ram and 32/64 GB internal storage. The best mobile under 15000 Rs. has 13MP + 5MP dual rare camera with dual tone LED flash which gives decent pictures. The front camera is 13 MP and Front Flash great selfies. Smartphone has connectivity options like dual sim, WiFi, Bluetooth and more, It runs on Nought 7.0 smartphone inbuilt with 4000 mAH non-removable battery that lasts long for one and a half day. This smartphone is 5.5 inches Full HD display with Corning Gorilla Glass 3 and it has 1.44 GHz Qualcomm Snapdragon 652 Octa Core processor, 3/4GB RAM, 32/64GB storage (Non-expandable). Phone inbuilt with 13 MP Back Camera LED flash with a Fingerprint scanner on the back and 5 MP on the front let’s come to software mobile comes with Android 7.1 (Nought) with same like Stock Android UI. Here is connectivity information it is Dual SIM, 4G VoLTE, WiFi, NFC and comes with Li-Poly 3000mAh battery with fast Charging feature, It has all the features so this diffidently comes in Best Smartphones under 15000 Rs. India 2017 list. This is not a complete list because upcoming smartphones within 15000 ₹ are not listed here, so subscribe us and stay updated with the upcoming beast smartphones. Dear Friends if you have any doubts about these Best Mobiles under 15000 India article so comment below. Taggedbest mobiles under 15000best smartphones under 15000 Rs.